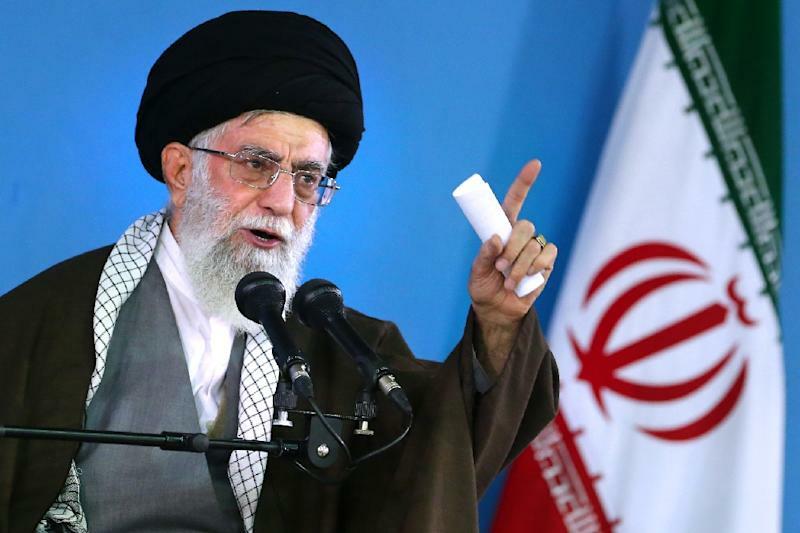 DUBAI/BEIRUT (Reuters) - Iranian Supreme Leader Ayatollah Ali Khamenei said on Saturday the nuclear deal with world powers did not signal any wider shift in Iran's relationship with Washington or its policies in the Middle East. The agreement struck this week was met with celebrations in the streets of Tehran as many Iranians anticipated it would allow the economy, battered by years of sanctions, to stabilize and make their daily lives easier. "We have repeatedly said we don't negotiate with the U.S. on regional or international affairs; not even on bilateral issues. There are some exceptions like the nuclear program that we negotiated with the Americans to serve our interests." U.S. policies in the region were "180 degrees" opposed to Iran's, he said in a speech at a Tehran mosque punctuated by chants of "Death to America" and "Death to Israel". "We will never stop supporting our friends in the region and the people of Palestine, Yemen, Syria, Iraq, Bahrain and Lebanon. Even after this deal our policy towards the arrogant U.S. will not change," he said. Shi'ite power Iran denies interference but has pledged support for the Syrian and Iraqi governments, which are both fighting insurgencies by a variety of Sunni armed groups. Iran's pragmatist President Hassan Rouhani struck a more conciliatory tone than Khamenei on Saturday. After a phone call with the ruler of the Gulf Arab state of Qatar on Saturday, Rouhani said the nuclear agreement would improve Iran's relations with its neighbors. "No doubt, deal will lead Iran to closer relations w/ neighbors, esp Qatar," Rouhani said on Twitter. Under the agreement reached on Tuesday, sanctions will be gradually removed in return for Iran accepting long-term curbs on a nuclear program that the West has suspected was aimed at creating a nuclear bomb. Iran denies it seeks a nuclear bomb. Rouhani belongs to the technocrat part of the Iranian establishment and has a more pragmatic approach to diplomacy. He hailed the deal as a "political, technical and legal victory" for Iran and has emphasized that "no deal is 100 percent". Khamenei, however, has decided to take a more cautious stance and see if any red lines had been breached. But his remarks did not shed light on Iran's procedures for ratifying the accord, which are not known in any detail. Foreign Minister Mohammad Javad Zarif will brief parliament on July 21, Iranian media have said, and the agreement will also be examined by the National Security Council, the country's highest security body. In a message to Muslim countries, Zarif echoed Rouhani's diplomatic stance, saying: "By solving the artificial crisis about its nuclear program diplomatically, a new opportunity for regional and international cooperation has emerged." Iran regards its nuclear program as an emblem of national dignity and dynamism in the face of what it sees as decades of hostility from Western countries that opposed its 1979 Islamic revolution. 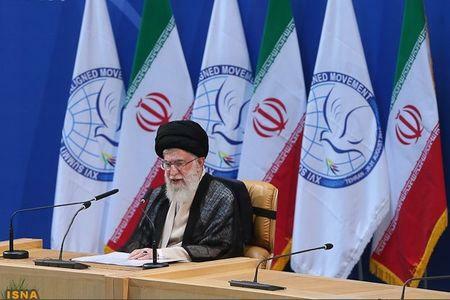 Khamenei's remarks radiated a broad mistrust of U.S. intentions. He said successive American presidents had sought Iran's "surrender", and declaring that if war broke out America would come off worst. "During the nuclear talks, we saw the Americans' dishonesty over and over," Khamenei said during meetings with senior Iranian officials and ambassadors from several Muslim states, according to his official website. "But fortunately our officials fought back and in some cases showed revolutionary reactions."